Your ACCOUNT is your login credentials and your profile page. You can change account settings like email preferences and your avatar here. Your COMPANY ACCOUNT is like your team or office. 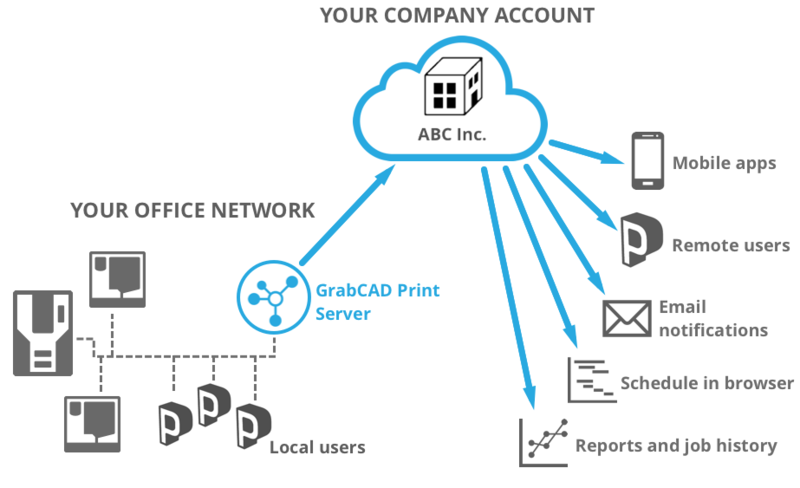 Company accounts are what links the members of your team to the benefits of GrabCAD Print Server: remote access, the mobile app, and schedule and reports in browser. This is why it is important for all of your team members to be on the same company account. 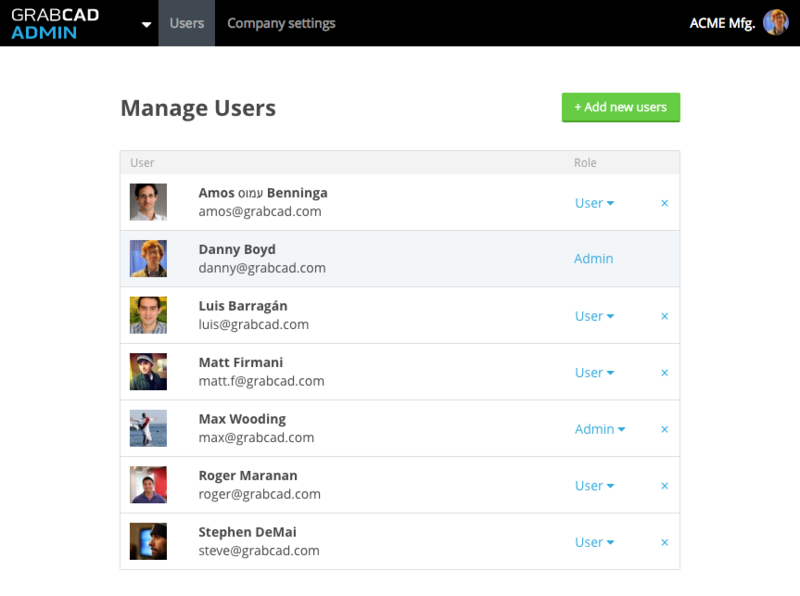 One person signs up and then invites the rest of the team to join the new company account from the Company Admin page. 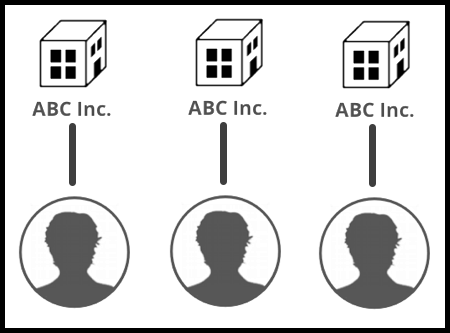 However, if everyone signs up on their own, duplicate accounts are created. If you are in this situation and have duplicate accounts, you can email print@grabcad.com and we'll take care of it for you. Read below to learn how to avoid this situation. Unless you are using GrabCAD Print in Offline Mode, you need to be a GrabCAD member with access to a company account. Signing up at grabcad.com/print gives you both, but if you are working with a team, you will want to make sure you are all on the same company account together. If your colleagues are already using GrabCAD Print: The only way to join the account is to be invited. Ask the admin to invite you to the account from the company admin page. 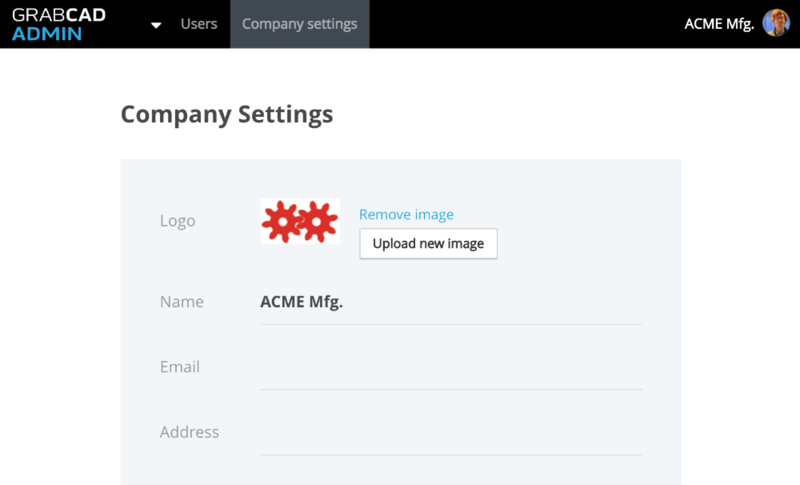 If you're the first one in the office to use GrabCAD Print: Sign up and create an account for your company, then invite your team from the company admin page. If you think you may have signed up before but can't remember your login credentials, you can reset your password here. If you've signed up for GrabCAD before to use the community, you might not have access to a company account. Log into grabcad.com, then go here and click "Sign up for free". If you're a member of a company account that is not related to your 3D printers and you'd like to make a new company account, log into grabcad.com, then click here to create a new company account. Then switch to Print in the upper left corner. 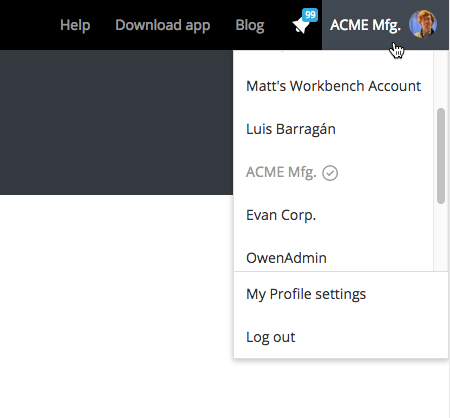 If you need to set up an account for someone else, use this link to create a new account, switch to the Company Admin page in the upper left dropdown, then invite them to Print. Once invited, change their account role to admin so they can manage the account. Note: If you previously signed up using 3rd-party authentication such as Facebook or LinkedIn, you'll need to do a password reset in order to use Print. 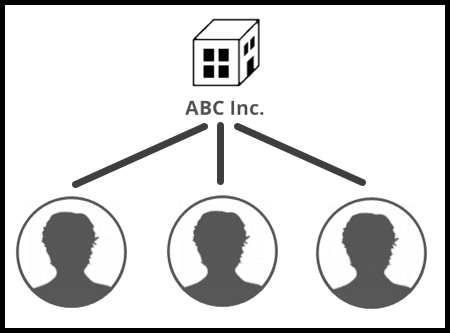 The company admin is responsible for adding and removing users from the company account, as well as changing company account settings such as name and icon. Accounts can have many admins. Use this page to give other users admin privileges. 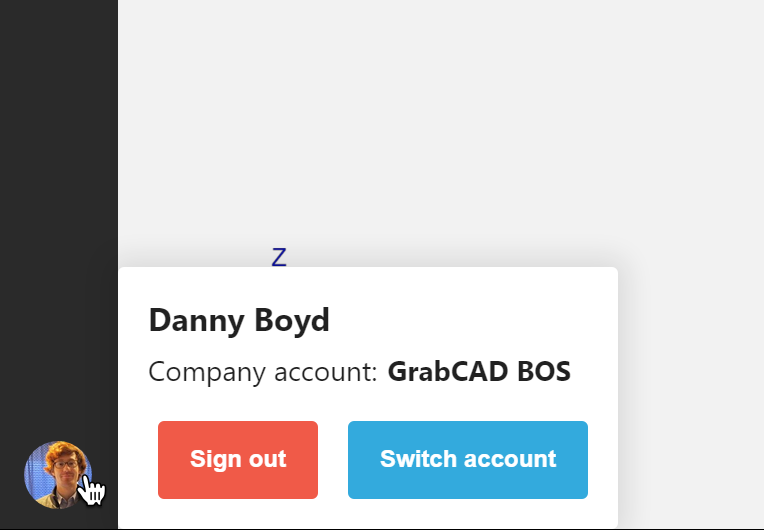 One company account has all of the users from both sites, and GrabCAD Print Server is installed on a computer at each site, connected to the one shared company account. Printers can be renamed to distinguish them between sites. The schedule and usage reports online will show all the printers from both sites, so this is a good method if you don't have many printers or don't need to keep the reports separated. 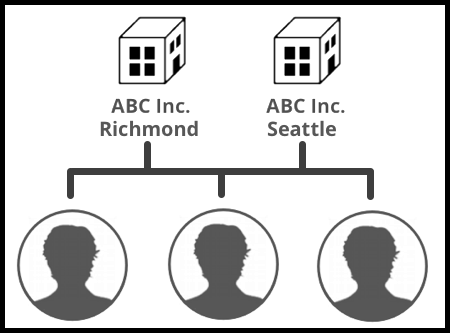 Multiple company accounts each have all users from both sites, and are named after the site. GrabCAD Print Server is installed on a computer at each site, and connected to the separate company account named after each site. 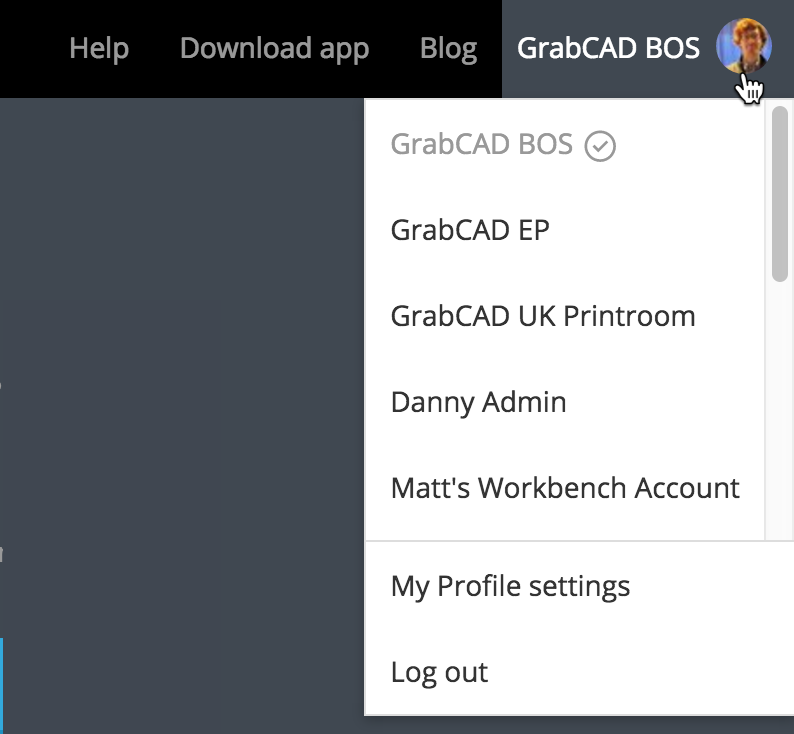 In GrabCAD Print, users must switch accounts to choose which printers they would like to connect to. The reports and schedule view online will only show the printers from one site at a time. If you don't already have one, create an additional company account with this link. Name your accounts after the sites. Invite the team members to both accounts. When installing GCP Server, select the account associated with the site. 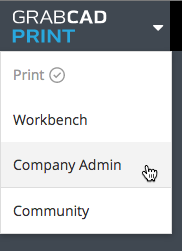 Now in both sites, the team members can switch accounts to access the printers in either office.